Stunning card, love it. Thanks for sharing it with us at Let's Craft and Create. PS I've got you on Bloglovin too now!! Sylvie I see you've sorted out your posting problems ...what did you do? Yay, you're back Sylvie! Hope you had fun at Ally Pally! 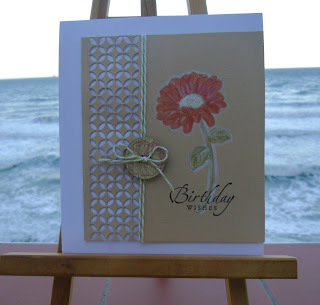 Such a pretty card - love your kraft colouring and use of that die! Sylvie, this is beautiful. Absolutely stunning ! This is GORGEOUS!! Love the image on Kraft and the colouring is lovely! Wish I was on one of those cruise ships!